The Gunston Ledger, Volume 1, Numbers 4,5 January - February 15, 1964. Jerry Grossman in Room 10, 1964. 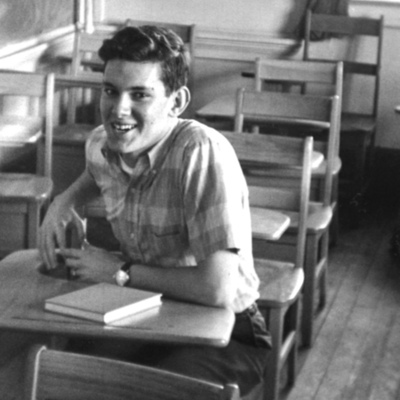 Photograph of George Mason College student, Jerry Grossman taken by Richard M. Sparks at Bailey's Crossroads campus of George Mason College, 1964.